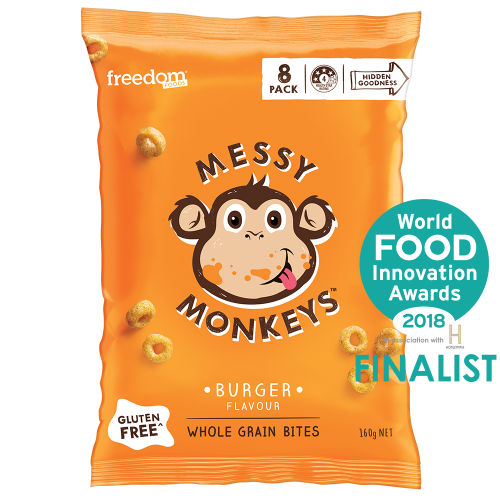 Made with the hidden goodness of Sorghum (nutrient powerhouse) and Quinoa (ancient grain) these Messy Monkeys bites have a hidden source of fibre. 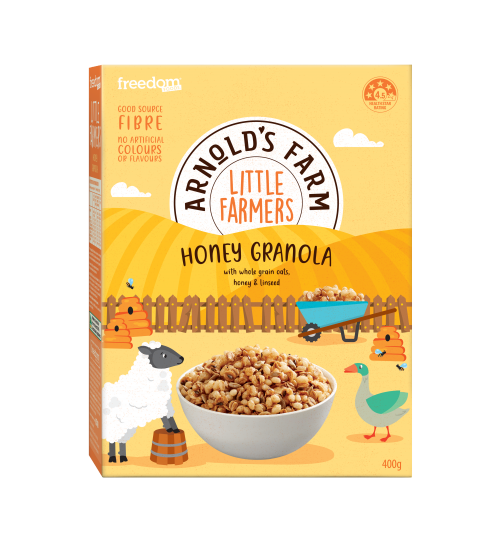 For kids aged 4-8 this is 11% of their daily fibre needs. 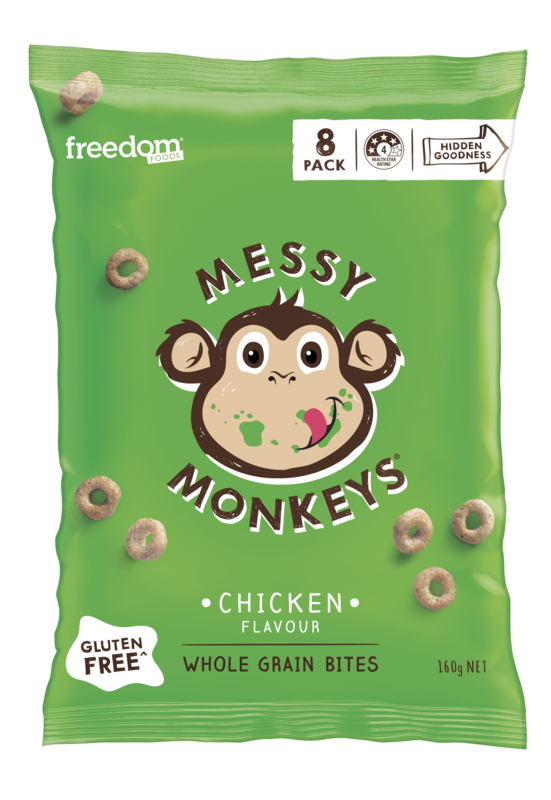 With no artificial colours, flavours or preservatives our Messy Monkeys bites are the perfect snack for your Messy Monkey to have more fun. 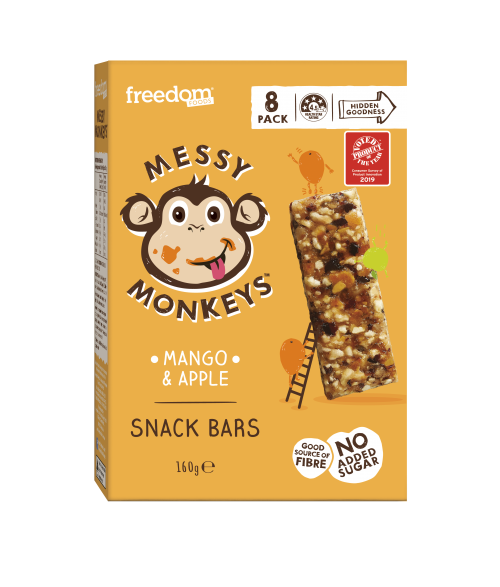 No palm oil. No added MSG. No nasties. ^ Free from gluten as found in Wheat, Rye, Barley and Triticale. 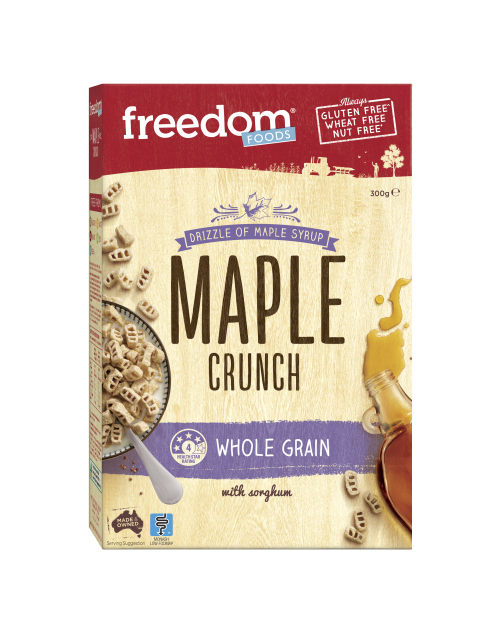 Does not contain oats. Flour Mix [Whole Grain Sorghum (24%), Maize, Rice, Whole Grain Quinoa (12%)], Canola Oil, Chickpea Fibre, Sugar, Salt, Vegetable Powders (Onion, Garlic), Chicken Powder, Natural Flavours, Herbs & Spices, Emulsifier (Sunflower Lecithin).